North Orange County's Village at La Floresta is a ground-up development in Brea, CA. Wanting to stand apart from the area’s Spanish design style, Regency took an unconventional approach by using a soft color palette combined with contemporary and rustic finishes. 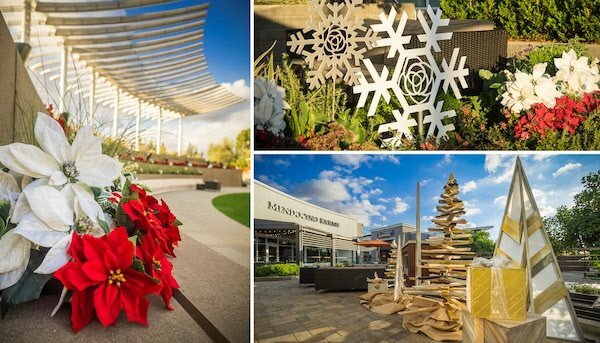 Fittingly, during the holidays, branded-wooden snowflakes and abstract trees were displayed throughout the property, while vibrant festive poinsettias decorated the landscaping. The Village at La Floresta is designed around a large, central multi-level terraced plaza and amphitheater called The Oasis. 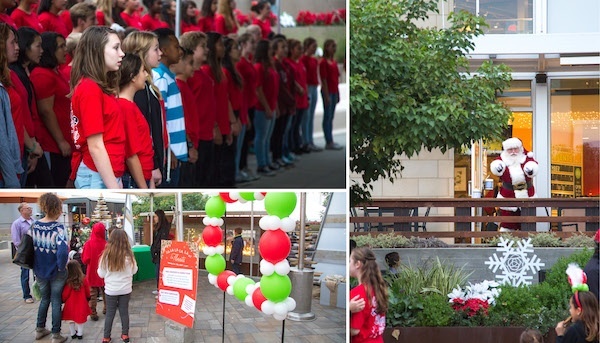 In December Regency held a month-long series of holiday events in this space which commemorated the center's first holiday season since opening in April 2016. Every weekend in December, carolers strolled the center singing traditional, contemporary and mixed-cultural holiday songs. 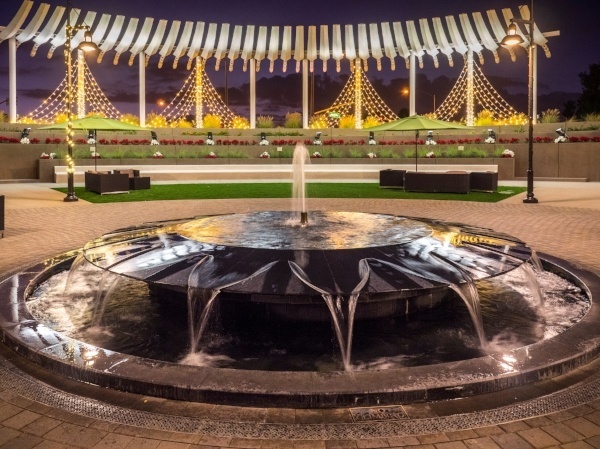 On select dates, the amphitheater held free concerts featuring local choirs, music and talent groups. Santa also made a guest appearance. On December 15 talented students from three nearby schools performed: Tuffree Middle School in Placentia, Parks Junior High School in Fullerton and Fullerton High School. La Floresta retailers and eateries participated with both in-store promotions and festive booths. Village at La Floresta will maintain an active events and promotions calendar moving forward — follow along on Facebook for the latest updates and upcoming events.